If it seems to you that the months are flying by, then you’re certainly not the only one. The ECC Ireland team just can’t believe it’s already time to talk about the 2017 Annual Report! Where did the time go? Well, for us, it flew by while busy helping consumers with their cross-border complaints by giving advice on national and EU consumer legislation and/or liaising on their behalf with traders via the European Consumer Centres Network. So, let’s have a look at what happened in 2017, how many complaints we received, the cases that required our intervention, the key findings, and of course, the top five cross-border consumer complaints. As always, we have the consumer success story of the month which looks at how we helped a consumer get a replacement for a faulty laptop. The consumer query of the month asks if you are entitled to get a receipt to reflect extra fees paid. To find out more, read on or download a PDF version here. In 2017, ECC Ireland received contacts in the form of calls, emails, and website contact forms, from 4,108 consumers. That’s a lot of consumers! Of these contacts, 2,387 (58 per cent) related to cross-border complaints, meaning the consumer had a dispute with a trader based in another EU/EEA country and it fell under ECC-Net’s remit. The remaining contacts (1,721 or 42 per cent) were classified as requests for information – consumers may be looking for information about consumer law, domestic disputes (where the consumer and the trader are based in Ireland), referrals to other relevant organisations, and requests for publications such as information leaflets. Most cross-border complaints involved consumers from Ireland (1,356) about traders based in other European countries. ECC Ireland provided these consumers with continued support to solve their complaint amicably. The overall number of cross-border consumer cases, i.e. complaints which required the direct intervention of ECC Ireland and ECC-Net colleagues on behalf of consumers, came to 1,031 in 2017. This represents a jump of 43.4 per cent on the figure for the previous year (719 cases). Of these 1,031 cases, 327 involved Irish consumers against traders based in other European countries (compared to just 167 in 2016) while 704 cases related to complaints by consumers from other European countries against traders based in Ireland (compared to just 552 in 2016). What did consumers complain most about in 2017? 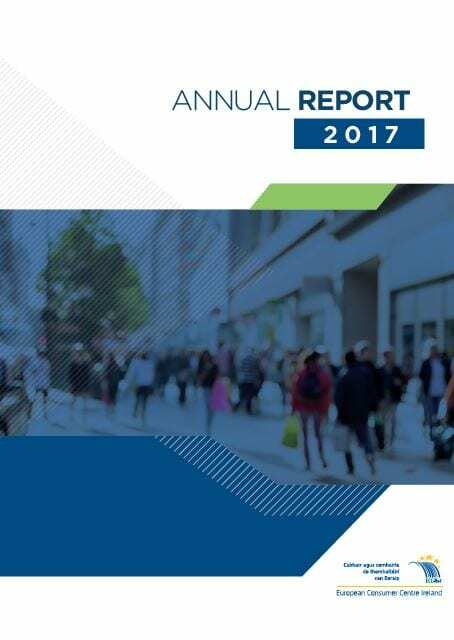 As in previous years, the 2017 Annual Report provides a further breakdown of the cross-border consumer complaints actively pursued by ECC Ireland – this means the cases that required direct intervention on behalf of consumers. Surprise! Surprise! 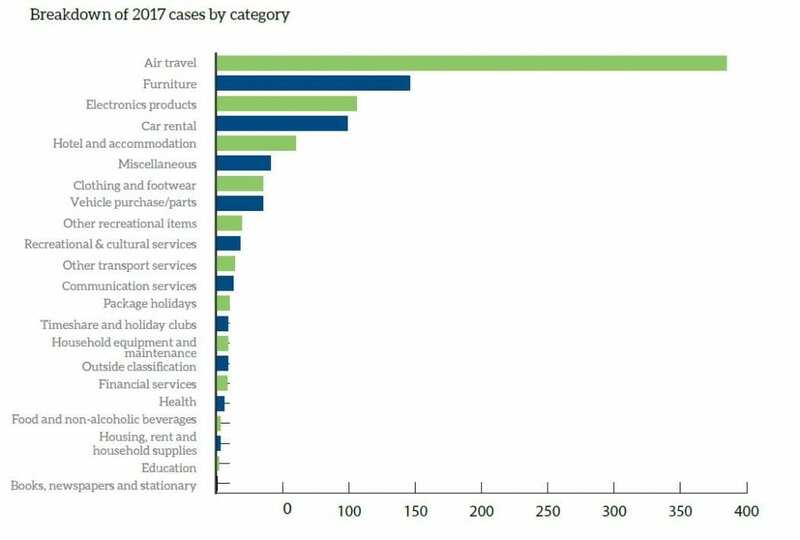 The most popular area of complaint for 2017 was air passenger rights. Well, it’s always going to be really given the sheer number of consumers who travel by air with popular airlines every year and the difficulties that they may face in relation to flight delay, cancellation, lost or damaged luggage, and problems seeking redress. For the first time since 2014, furniture has moved up the rankings to secure its place as the second most complained about cross-border issue with 146 cases dealt with by ECC Ireland, which represents 14.2 per cent of the total number of cases. Why the jump in complaints? Much of it can be attributed to the difficulties experienced with problematic replica and designer furniture companies which established a presence in Ireland in 2016 and 2017 following changes to copyright legislation in the UK. Electronic products came in third place with 106 cases (10.3 per cent of total cases). There was an impressive 85 per cent increase in the number of complaints for this category between 2016 and 2017, which could be attributed to cross-border online shopping becoming increasingly popular amongst consumers. In fourth place was car rental with 99 cases (9.6 per cent of cases). Although this category dropped in ranking there was an increase of 27 per cent compared to the number of car rental cases dealt with in 2016 (78 cases). 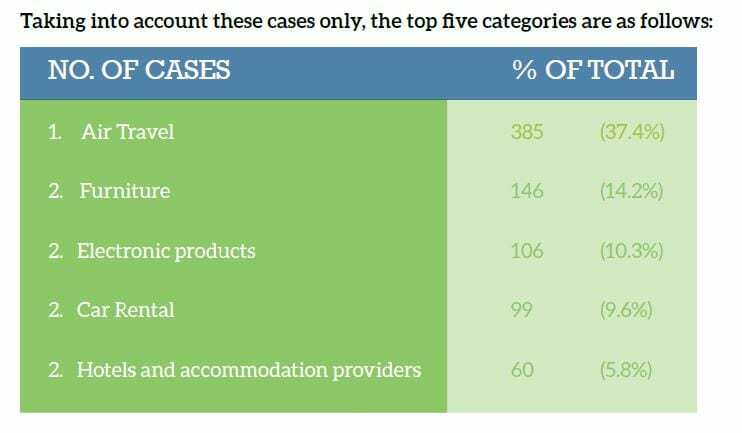 In fifth place, for the second year in a row, was the hotels and accommodation category with 60 cases, a jump of 54 per cent compared to the previous year (39 cases in 2016). Other areas of complaint included clothing and footwear, the purchase of vehicles/parts, recreational and cultural services, communication services, package holidays, timeshare and holiday clubs, household equipment and maintenance, financial services, health, food and non-alcoholic beverages, housing/rent/household supplies, education and books/newspapers/stationary. Flight cancellations and delays were the number one cause for air passenger-related complaints. This was followed by complaints of a more general nature and which are often governed by the terms and conditions of the contract between the airline and passengers rather than Regulation [EC] No. 261/2004 – for example, remedies when there is a schedule change, refund request on medical grounds, booking process problems, and errors when making changes to flight itineraries or managing existing bookings. 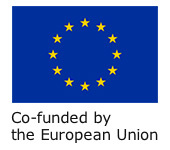 Although some issues related to the quality of the goods and non-delivery, the majority of complaints related to unfair terms in consumer contracts, unfair commercial practices, and a failure of traders to comply with the pre-contractual information requirements and the withdrawal provisions under Directive 2011/83/EU on consumer rights. The main area of complaint involved faulty/defective smartphones, mainly in relation to refurbished smartphones which has become an increasingly popular online cross-border purchase. Other problems were delayed/non-delivery and the 14-day cooling off period. As with previous years, the key issues reported related to charges imposed in the post-rental stage due to alleged damage, fuel surcharges, road traffic fines and deposits not refunded for a significant period. Other complaints related to refusal to provide services and mis-selling of insurance products. Sixty cases in this area required the direct intervention of ECC Ireland, 38 per cent of which were against Irish based traders. Want to read more? Download the full ECC Ireland Annual Report 2017 here. An Irish consumer purchased a refurbished laptop that came with an additional one year guarantee. The laptop broke down not long after purchase and it was sent back to the German trader for repair. However, when an identical defect arose again, alongside another issue, the consumer requested a replacement. The trader agreed but told the consumer that she would have to cover the cost of return delivery. The consumer got in contact with ECC Ireland who requested the assistance of ECC Germany. The trader was reminded of its obligations under the Sale of Goods and Associated Guarantees Directive 1999/44/EC. As a result the trader organised collection of the the old laptop and offered a similar model as a replacement as the original model was no longer in stock. The consumer received the new laptop which is in proper working order. Q: I bought two tickets for Body and Soul music festival from an official online ticketing agent and received a receipt. During the purchase I was required to add the ticket holders’ names to each ticket. Later, I wanted to give these tickets to someone else, but I had to change the names on the tickets. The agent allowed this but charged a €10 fee for each name change which I paid for with my credit card. However, I did not receive a receipt for these charges which in total came to €30. I asked them for the receipt, but they stated that they could not issue them but did not give a reason why. Am I entitled to a receipt for these separate charges? A: Whilst most businesses issue receipts as a matter of course, and in a number of countries this is also a legal obligation, at present there is no general requirement on businesses in Ireland or the UK to provide a receipt. There are some exceptions – certain sectors, such as financial services or taxi services, have specific rules in relation to this. Whether the contract is made in writing or verbally, with or without a receipt, card or bank statement or any other valid proof of payment are generally acceptable as evidence that a transaction has taken place. 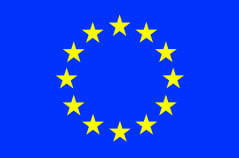 EU legislation does confer certain obligations in relation to e-commerce and consumer rights. When a consumer places an order online the trader is required to acknowledge receipt of that order by electronic means. Traders are also required to provide consumers with the confirmation of the contract concluded, on a durable medium within a reasonable time after the conclusion of the distance contract, before the performance of the service begins. That confirmation must include the total price of the service inclusive of taxes. As such, while there is no legal requirement for the business to issue you a receipt, in these circumstances outlined, your credit card statement should act as proof of the transaction should you encounter difficulties going forward.